The main focus for commemoration in 2018 will be the centenary of the Armistice on 11th November. If you take your history from Blackadder, Sebastian Faulks, or even the Royal British Legion or Commonwealth War Graves Commission, you might be forgiven for thinking that Passchendale was the climax of the First World War and that the fighting ended in the vicinity of the same lines of trenches fought over since the end of 1914. What do the official commemorative websites say happened in 1918? 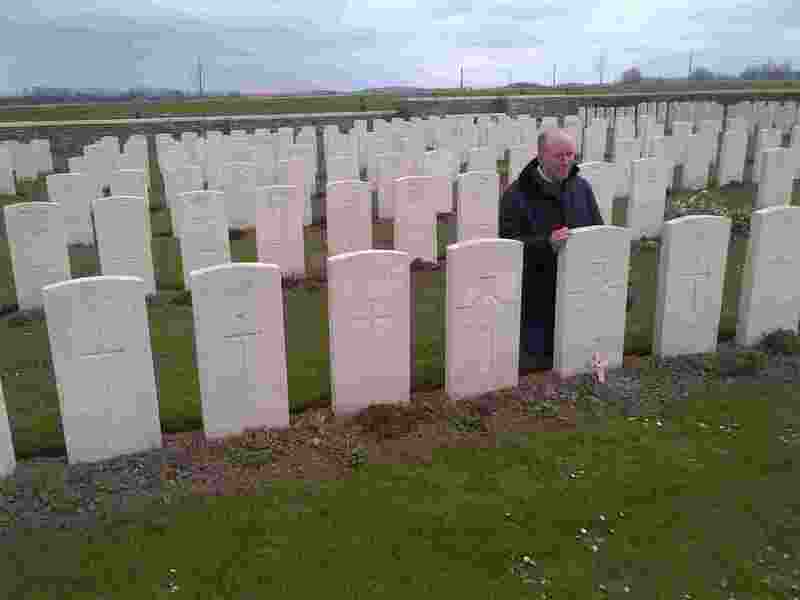 As of 2 February 2018, the Commonwealth War Grave Commission lacks any pages for 1918 in the Western Front campaign pages, which end at Cambrai. Nor does the British Government First World War Commemoration website make any reference to any events of 1918 before the Armistice. The Royal British Legion seems to have lost interest in the Centenary too. It’s focus for the year is to celebrate the 90th anniversary of its own Great Pilgrimage in Ieper, a location peripheral to the events of 1918. It offers a “100 days” option, alongside one to visit the battlefields of 1914-17, suggesting Loos and Mons as destinations. It looks self indulgent, if not neglectful for the Royal British Legion, as custodians of national Remembrance to organise an event celebrating 90 years of battlefield pilgrimages at a peripheral location that competes with the commemoration of the anniversary of the battle of Amiens. The Royal British Legion’s commemoration is a parade of standards at the Menin Gate. 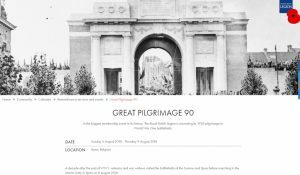 If Pilgrimage 90 follows the path of the 1928 Pilgrimage the “organised tour commemorating the last 100 days of WW1” looks like a tour of the highlights of the rest of war on the western front – such as Ypres, Mons and Loos. 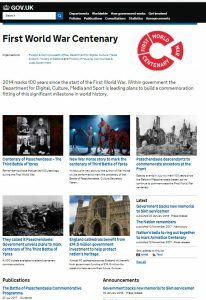 If you want to see the impact of official amnesia of 1918, read the coverage of centenary events in the media. The printed The Times report of the centenary of the sinking of the SS Tuscania on 5th February, in with the loss of over 200 American servicemen merely as “shortly before the end of the First World War.” This misses the point that the Americans men were on their way to fight the decisive battle. T he Daily Mail use the same language in their coverage of the airmen who wore slippers to face von Richthofen. The implication is that the war of 1918 is more of the same old trenches until November, and ignores entirely the intense air war that would kill von Richtofen and many of the other leading aces in the meantime. 1918 wasn’t about waves of Tommies going over the top in a vain attempt to break through lines of trenches. Instead, the battles of 1918 started with the Germans on the attack. Nor was it a tale of mud, blood, barbed wire and trench foot. 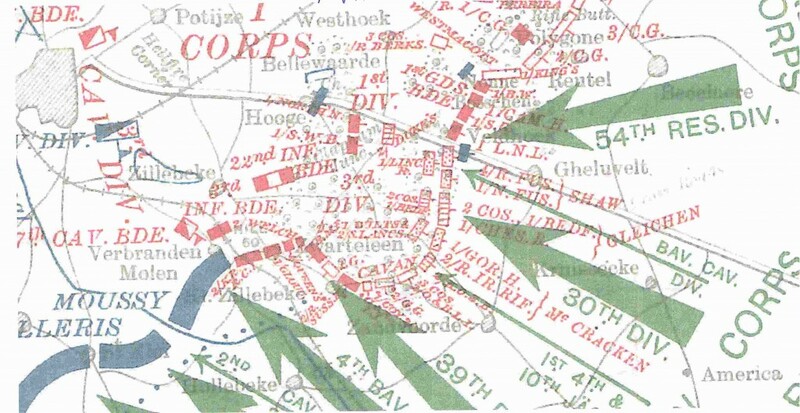 Much of the fighting took place in open country and some distance from the battle fields of Passchendaele and Loos. The year contained some of the lowest points in British military history – and some of the highest. It’s a pity that the events of 1918 have not attracted more support from the institutions that have led the commemorations of the First World War. It is shameful for their events to be bundled together as merely the overture to the centenary of the Armistice. The Russian revolution and armistice ended Germans’s Eastern Front. 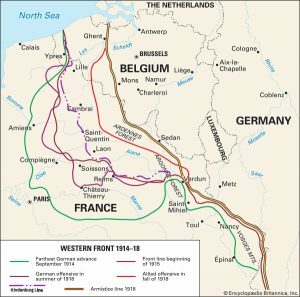 For the first half of 1918, until the Americans arrived in force, the Germans would have superior numbers on the Western Front. Between March and May 1918 they stuck the British and then the French with a series of hammer blows. A combination of infiltration tactics, clever use of artillery and broke the stalemate of the trenches. These battles were the most intensely fought and bloodiest of the Western Front, if not in history. The casualties were very high. Between 21st March and 5th April the British Army lost 160,000 casualties, an average of over 10,000 casualties a day, compared to some 2,700 casualties per day for the Somme and Passchendaele. The opening day, 21st March 1918, was the second worst day in British military history, costing 35,000 casualties. 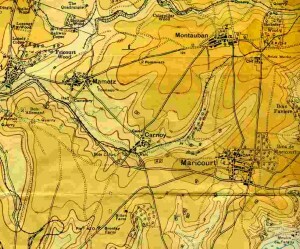 Between 15 July and 7th August six French armies, with American, British and Italian Army Corps, halted and turned back the last great German offensive. This was followed by the British led offensive at Amiens on 8th August – the black day of the German army. From this time the Germans were on the back foot and under continuous pressure from the allies. The last 100 days of the war cost the British 360,000 casualties. About one quarter of the strength of the BEF. Only the 1916 battle of the Somme cost more. Australian Artist Septimus Power has captured the combination of arms of the 1918 BEF – artillery, tanks and air power. More 1940 than 1914…. It isn’t fashionable to praise the First World War as an allied victory; or to admire its generals. But there is much merit in the performance of British and commonwealth armed forces on the Western Front in 1918. 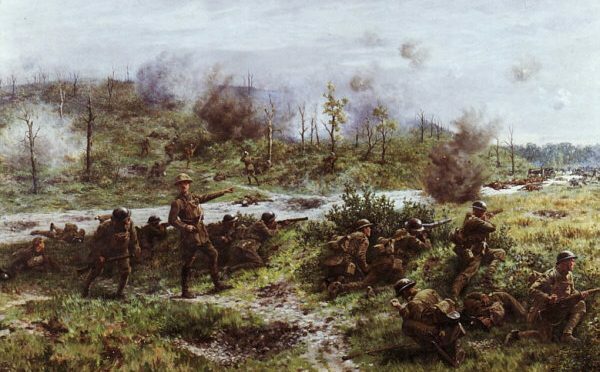 The retreat from Mons by the BEF in 1914 is famous, but the fighting retreats of March and April 1918 were fought by an amateur citizen army which fought a series of continuous engagements instead of two battles and a series of skirmishes. According to the Official History the retreats of 1918 were a greater achievement. Turning defeat into victory is a remarkable achievement. The BEF of 1918 lost twice as many casualties as the BEF in 1940, but then turned around and beat the Germans. The experience was unique and unlike the trench warfare that preceded it. The British army of 1918 won the war. In the last 100 days it took almost as many prisoners as other allied armies put together. Its tactics were closer to 1940 than 1914. Its leaders, castigated as “butchers and bunglers” turned out to be good effective experienced commanders. The leadership and tactics in 1918 are hard to fault. 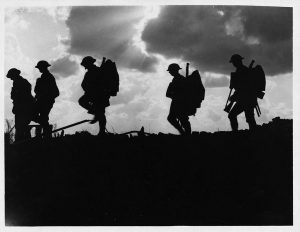 At the end of the First World War the Britain’s Armed Forces were at a peak. They had mastered modern mechanised warfare. The Royal Air Force was the worlds largest, and only independent, air force, and had mastered most of the elements of air power. These were remarkable achievements for a citizen army. 4. The experience of 1918 was unique and deserves the same recognition extended to the Somme and Paschendaele. There are qualitative differences in the solders’ experience, and in how we perceive them and the losses they suffered. The battles of 1916 were fought by citizen armies largely new to the fray and with a sense that they would deliver the big push that would end the war. There was a false dawn in 1917 with Vimy Ridge and Arras, but by Passchendaele the British and commonwealth armies had lost their sense of optimism. Their losses in retrospect have been seen as an almost biblical sacrifice. “what passing bell tolls for those who die like cattle?” -” I died in Hell men called it “Passchendaele.” The late Bob Bushaway wrote a perceptive paper on this elevation of the war dead from the casualties of war to sacrifices for mankind. Passchedaele epitomes loss and futility that is perhaps the mostly widely popular narrative of the First World War. That the war continued for another decisive year is an inconvenience for this interpretation, doubly so as British soldiers return to undertake operations in the national interest and end as victors not sacrifices. It is easy to understand the temptation to lose interest after Passchendaele. The situation 11 November. Each Arabic number is a division of C 15,000 men. Fresh formations are shown in black and tired formations in red. Click on the map to enlarge. But that does not do justice to the story of the men who fought in 1918. The last hundred days was an unrelenting battle. Those who fought did not know that the war would end imminently. Many in authority thought it would continue to 1919 or 1920. Some of the soldiers’ letters refer to the thought that they had the Germans on the run and would try to finish them off before winter weather gave the Germans a respite. One striking feature of the graves of the men who fell in 1918 is the proportion with at least one decoration. These men had already done their bit but were determined to finish the job. Their knowing sacrifice deserves some focused reflection. Battlefields are places of historic memory. Yes, they inform the visitor about how the micro-terrain influenced events, and the sights, sounds and smell of the landscape. They are also powerful symbols evoking memories and emotions. They have a deep cultural significance as places of sacrifice, reinforced by memorials and ceremony. The places dedicated to the sacrifices of 1916 and 1917 won’ t serve the memories of 1918. It is hard to think about successful open warfare at Amiens while standing at the Menin Gate, literally on the road to the mud of Passchendaele. In 1918 the fighting crossed the 1916 battlefields twice. But the 1918 battlefield covered a much wider area. 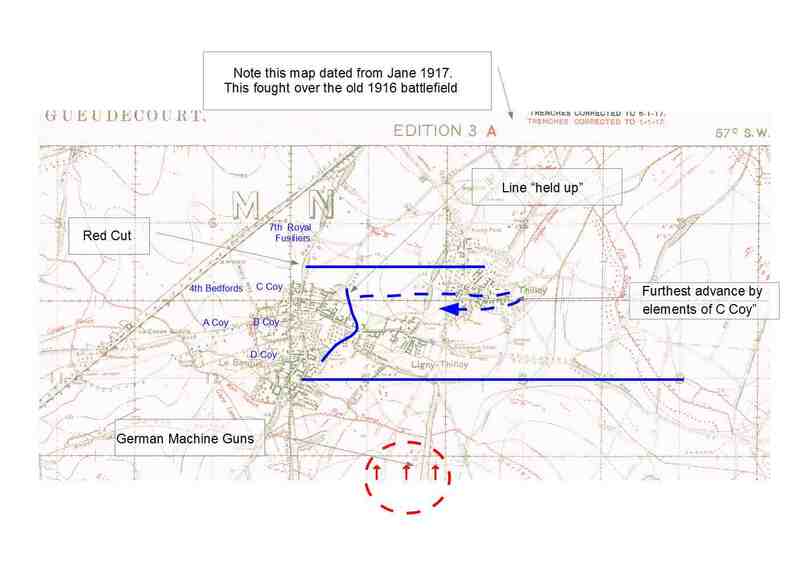 To interpret the battle the visitor should explore the area around St Quentin. West of that town were the British lines that formed the setting for the play Journey’s End and the German onslaught in March. 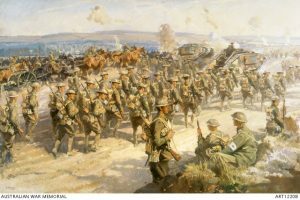 In late September the British with Australian and American troops forced their way across the Hindenburg line a few miles north of St Quentin. Peronne, ten miles to the west was the site of British rear-guard fighting in March and a great feat of arms by the Australian Corps in August. It also has a fine museum, the Péronne Museum of the Historial de la Grande Guerre, overlooked by many visitors to the 1916 battlefields. The graves dating from March and August 1918 are evidence of the fighting that took place across the old battlefield. The memorial to the Fifth Army missing of 1918 is in the Pozieres war cemetery on the road from Pozieres to la Boiselle – often ignored by visitors. The fighting extended west of Albert to Villers Bretonneaux outside Amiens, the site of Australian feats of arms and their national memorial in France. 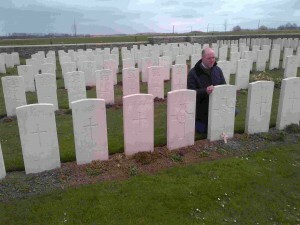 The graves of many British soldiers in Villers Bretonneaux is ample evidence of the part played by British troops in the area, which is also the location of the first battle between tanks. There is no single memorial to the battle of Amiens. The paths of British and Commonwealth troops east can best be evidenced by the graves dated August 1918. The formidable Hindenburg line lay east of the March 1918 Allied lines. You can find remains of German defences and memorials to the battle that forced this line. 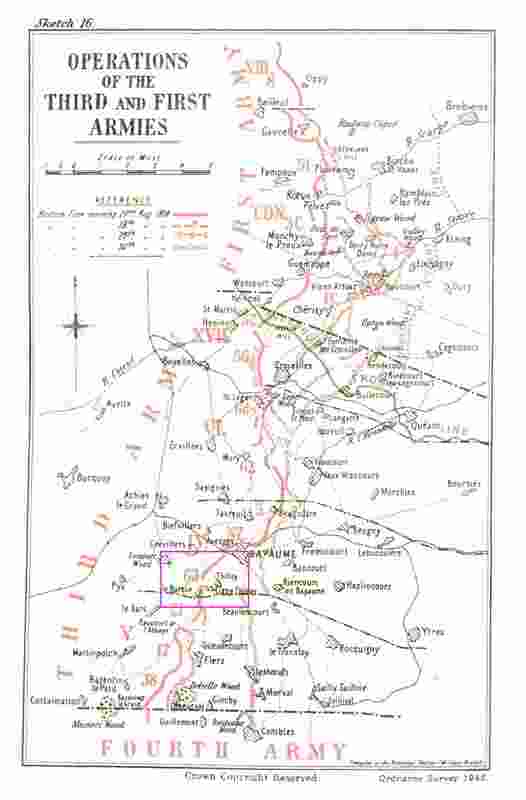 The second German offensive was in Flanders, in the area between Armentieres and La Bassee, stretching West as far as Hazebrouck and Mount Kemmel. Start with the Portuguese cemetery just south of the Indian Army memorial at Neuve Chapelle. Under equipped and under-trained the Portuguese defenders of this quiet sector were some of the unfortunate victims of the Germans Georgette offensive. The 55th Division memorial at Givenchy commemorates the gallant stand by the territorial soldiers from West Lancashire holding the flank of the German breakthrough. The German Alpine corps took Mont Kemmel, south west of Ieper, which then fought over by British and French troops for the next three months. Mount Kemmel is an overlooked battle. The French war cemetery with 5,000 graves testifies to the ferocity of the fighting. The US memorial at Vierstraat Kemmel is a reminder of the 60,000 American soldiers who served in the area in August 1918. On 27th September Ieper was the starting point for the last act in the Salient. A single day was all that was needed to capture the whole of Passchendaele Ridge. The fighting that followed half-way to Brussels was hard enough for several VCs to be awarded and for Brigadier Freyburg to be awarded two bars to his DSO. The Americans captured Oudenarde, and their Flanders Fields cemetery at Waregem has those that fell. Thousands of people visit the impressive memorial and preserved battlefield of Vimy Ridge, captured by the Canadian corps in 1917. Far, far fewer follow the story of the Canadian and British troops that advanced from Arras to Cambrai, Mons and Le Cateau. This was no triumphal parade. The memorial to the missing at Vis-en-Artois was the site of a bloody set back at the end of August, while at Iwuy in October the Germans counterattacked with tanks, throwing the British back. British troops were also deployed to the Aisne area North East of Paris. In May an army corps of some 80,000 battered in the earlier German attacks was sent to a quiet sector to recover and integrate reinforcements. Unfortunately for them they were in the path of the next German offensive. 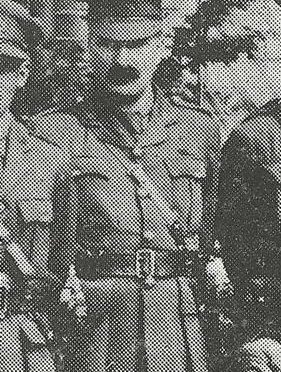 The experiences of Captain Ulick Bernard Burke of the Devonshire Regiment were recorded and the digitised recording is held by the Imperial War Museum available . From 11 minutes into reel 17 he describes the last stand of the battalion. Battle of Tardenois. 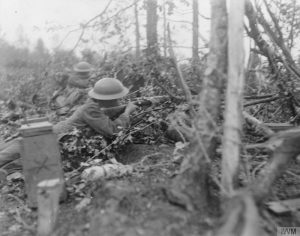 Infantry men of the 62nd Division looking out for the enemy in the Bois de Reims. (Imperial War Museum image Q11089)These British troops were some of the 60,000+ Tommies fighting alongside Italians and Americans under French command in July 1918. Once French General Foch had been appointed Supreme Allied Commander formations were deployed where they were needed. There is far more to the fighting in 1918 than the 100 days as a prelude to the Armistice. It is a shame that there is so little public awareness or interest in public education by the bodies that should take the lead. I recently took a group of businessmen on a visit to the battlefields of the western front. One of them, Richard Whittemore, told me a fascinating story. His great-grandfather was one of six brothers who served in the First World War. Three of them died and are buried in France. A fourth is commemorated on the Helles Memorial in Gallipoli. Sydney Whittemore was a regular soldier who served in the 1st Battalion of the Bedfordshire Regiment. This unit fought at Mons Le Cateau and the battles of the Marne and Aisne before deploying to Ypres. He died on 7th Nov 1914. The battalion had recently deployed to the trenches East of Ypres. According to the war diary, “Enemy broke through line held by Regt about 200 yards to our left, carrying next Regt & some of our men with them. Our supports were moved to left… & assisted in driving enemy back. Qr. Mr.Sergt. Byford [4893 Thomas William BYFORD, DCM] (awarded Distinguished C. Medal) collected about 40 men & captured trench held by 21 Germans, killing or capturing all. Pte. 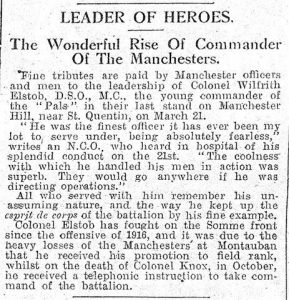 Falla [8095 William FALLA, DCM] (awarded Distinguished C. Medal) ran on in advance, & getting on left of trench enfiladed enemy whilst remainder were rushing the trench. Our casualties about 7 officers & 140 other ranks killed wounded 7 missing. It is likely that Sidney Whittemore was fatally wounded, as he is buried in Bedford House Cemetery, several miles west. Frederick Whittemore was a hero. He joined the army, aged 18 in 1896 in the Bedfordshire Regiment. He served in the Boer War as a soldier. There isn’t a His By 1914 he was Company Sergeant Major in the 2nd Battalion the Bedfordshire Regiment in South Africa. On 17th October he was commissioned in the field to replace the officers that had been lost up to that point. 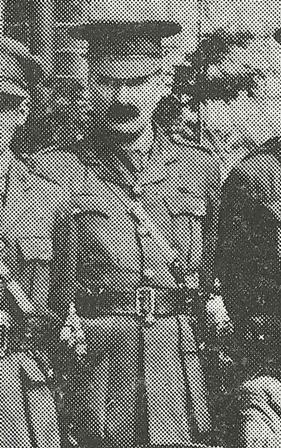 2 Lt Whittemore was wounded on the 29th October 1914 in the first battle of Ypres. On his recovery he joined the 1st battalion and served with distinction in the heroic defence of hill 60. As the sniper Officer he was credited with accounting for over 50 of the attacking Germans, but was wounded again with as bayonet. His actions resulted in the award of the Military Cross in December 1915. It was soldiers like Frederick and Sydney Whittemore who epitomised the “Old Contemptibles” of the BEF. 13657 Private Whittemore G W 9th Bn Sherwood Foresters (Notts and Derby Regiment). 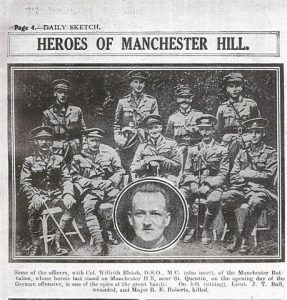 George Whittemore was a member of one of the first Kitchener Battalion of the Nottinghamshire and Derby Regiment which formed in Derby in 1914. It sailed for Gallipoli and landed at Suvla bay in August 1915. He was killed on 15th October 1915 but has no known grave and ius commeorated on the Helles memorial. Frederick Arthur Whittemore served in the 7th battalion The Royal Sussex Regiment died on 26th August 1918 aged 21. This gallant young soldier was killed in an attack on the Carnoy- Montebaun spur, almost on the 1st July 1916 front line. The attack in which he was killed seems to have been casually organised and as fatal to the assaulting infantry as any on the 1st July. as any on the as those ill supported as any in 1916. The total advances was planned to be three miles. There was “some difficulty calculating the barrage, as the position of the leading troops of 35 Brigade was not known and it was not possible to arrange for the barrage to conform with the barrage of the 58th Division, (the other formation attacking.) . Divisional orders were not ready until 11 pm, and did not reach the commander of 36 Brigade until after midnight and 2 AM before he could collect his battalion commanders to issue verbal orders for a 4 AM attack, and there were three miles to march to reach the start point. 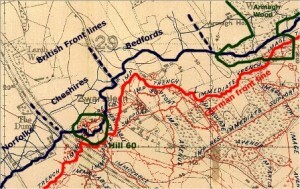 Further delay took place in consequence of the late arrival of the pack mules with reserve small arms ammunition , and of shelling which forced the battalions to leave the road and march across wire and trenches on a compass bearing, the latter part of the way in single file. 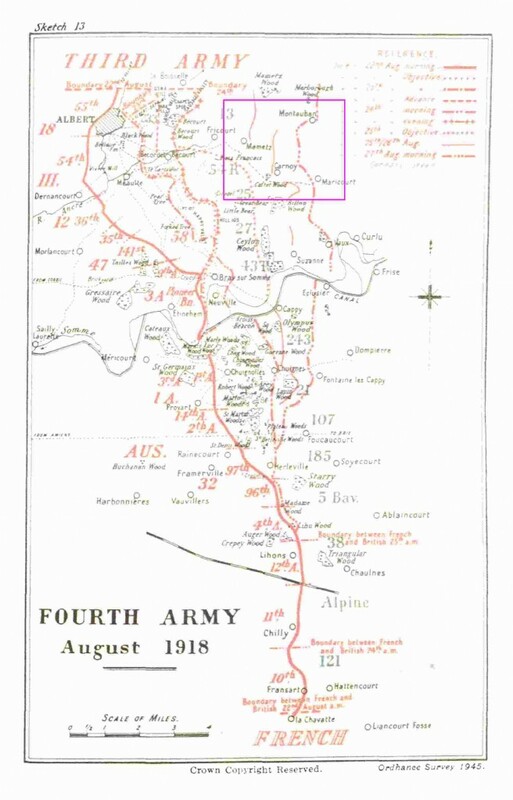 Thus the 7th Royal Sussex (and 5th Royal Berkshire) were unable to reach the starting line in time to move off before 4.30 and 4.45 am respectively, and lost the barrage, which in any case dropped too too far ahead, nearly 1500 yards, to be of any use. Both came under machine gun fire. The Royal Sussex were held up in the valley in front of their first objective. The Germans spotted a gap between the two battalions and counter attacked, threatening part of the R Sussex near some old mine craters, (from the pre July 1916 front line). The fight went on all day until the neighbouring formation on the left captured a key village behind the German right at around 4.30 pm. (2) The CWGC records list 24 soldiers from 7th Royal Sussex who died between 26 and 28th August 1918. Three of these men, like Frederick Whittemore were recipients of the Military Medal. 19833 Private C Whittemore of the 4th Battalion the Bedfordshire Regiment died , aged 23 on the 27th August 1918 and is buried in the AIF burial Ground Flees. He probably died in one of the two attacks made by 190 brigade on Thilloy. He may have served alongside Charles Laughton. Richard’s grandfather survived the war. The medal cards list a Whittemore in the Bedfordshire Regiment, awarded the Mons star who survived the war. The family tradition is that he was a machine gunner, and suffered such severe shell shock that he spent the rest of his life in mental institutions. His family maintained a fiction that he had run off to India and married someone there. In fact he was incarcerated in a local mental hospital a few miles from where his children were growing up. He died and is buried in an unmarked grave. This was the result of some internet work and I am not sure exactly what the family relationships were. However there seem to have been a lot of casualties, and medals awarded to a relatively small number of brothers or cousins. 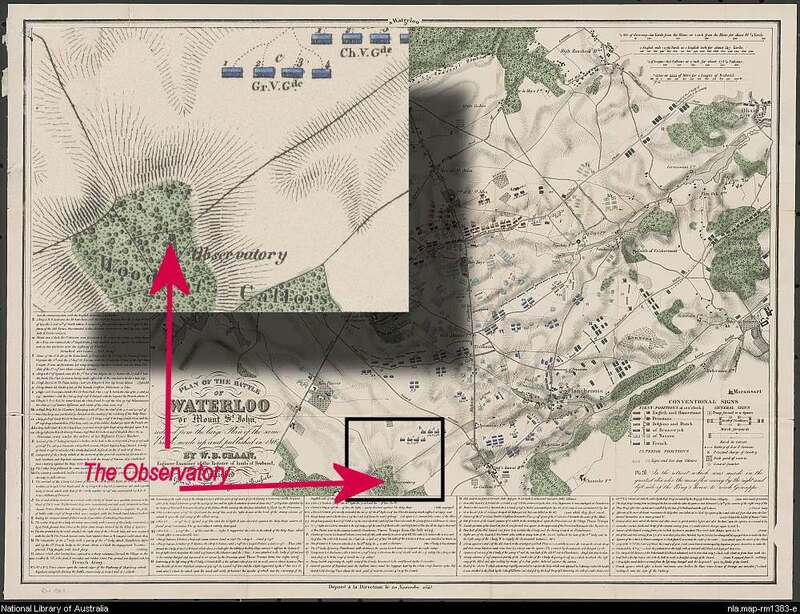 Where has Napoleon’s Observatory at Waterloo Gone? I spent yesterday in the National Army Museum looking for material which would be of interest to the City Lit Summer school I am tutoring on the Battle of Waterloo. The collection is fascinating. It is one thing to read the accounts in books. Its another to hold in your hands the letters and diaries of the soldiers of the time; or to see the some of the paintings in their reserve collection, and the preliminary sketches of the battlefield by the artists. 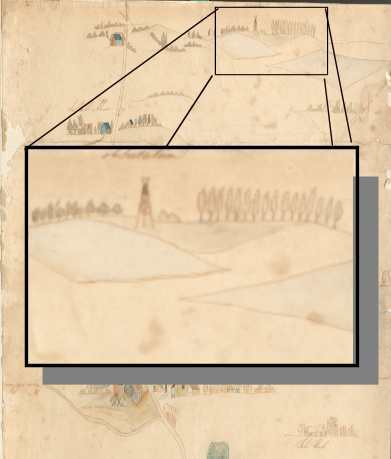 One intriguing object is a water colour sketch map, with the inscription “used on the battlefield”. The archive staff had no information about the provenance of the item, which had once been framed. 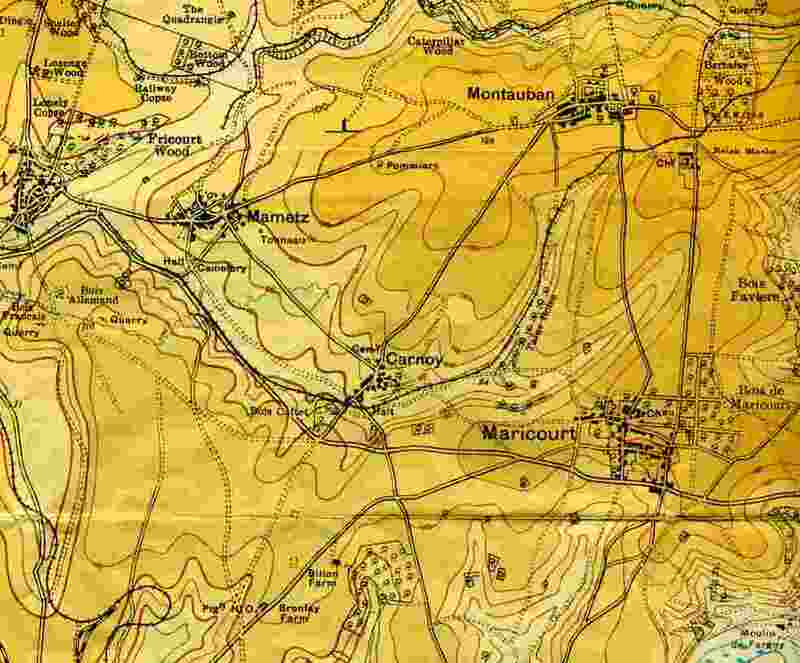 The sketch map shows some of the key terrain features visible from the Anglo-Dutch position, including the village of Mont St Jean, the farm of the same name, the villages where the Anglo Dutch Army deployed, Hougoumont, Mon Plaisir and La Haye Sainte and the ridge lines in the French positions. 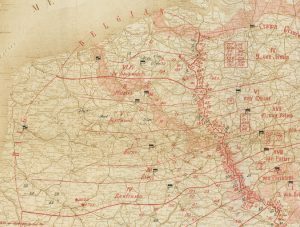 Intriguingly, the map did not have some of the terrain features that appear on battle maps to explain the course of the battle. 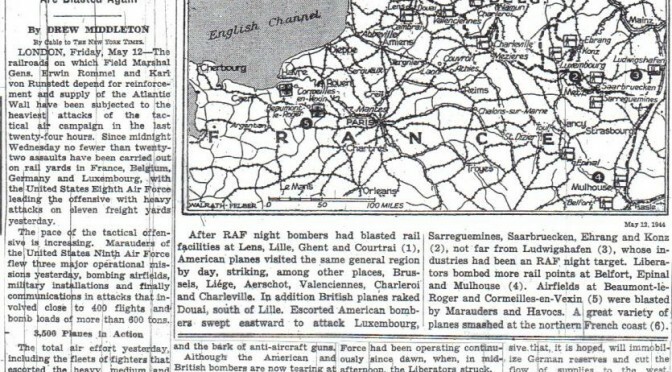 So the village of Placenoit is not marked. Nor is the track running across the front of the Anglo Dutch position, the famous sunken road. 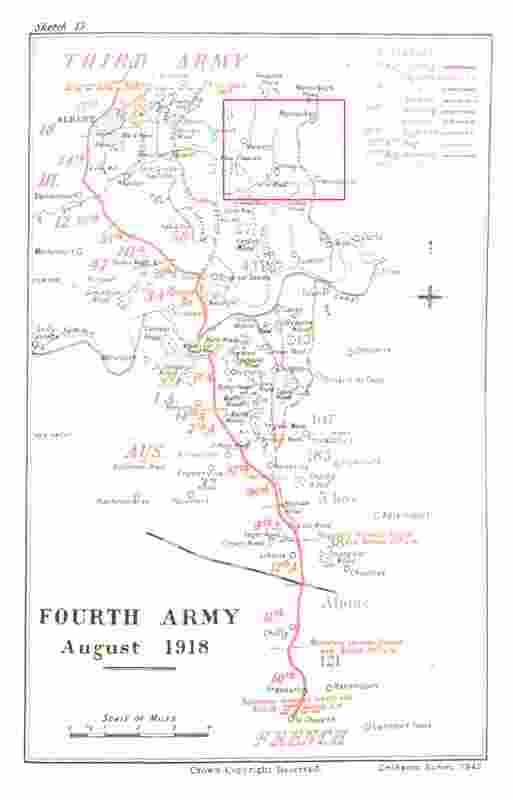 So maybe this map was one produced by Wellington’s staff on the day for orientation purposes. ( “The farm in the dip a couple of hundred paces in front of us is called La Haye Saint and the chateau on our right about a mile away on the right hand side of the walled garden is Hougoumont”) One distinctive feature shown is an observation tower south of Hougoumont and East of the Mont Plaisir Farm. 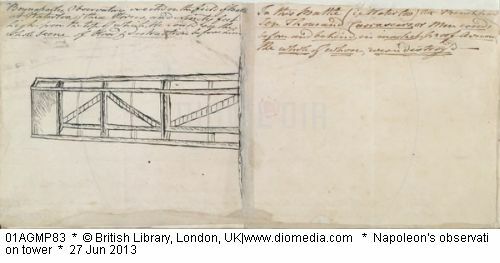 Its an obvious feature, and one that also appears in some of the pen and ink sketches made by the painter Richard Dighton of the battlefield after the battle. This tower also appears on the map drawn up by the Dutch Surveyor Willem Benjamin Craan in 1816 as the “Observatory” (1) and in Wagner’s maps (2) it’s function is labelled as “telegraph”, which may explain its function as part of an optical telegraph system. The tower is also described as 35 feet tall. significant. One of the ingredients of Wellington’s success was his use of a reverse slope to hide his deployment from the French. But a man standing on the observation tower above the 135m contour would be at an elevation of around 150m, 15m higher than the crest of the Mont St Jean Ridge. This should have enabled Napoleon and Ney to have seen some way down the reverse slope. Obviously once the battle started the visibility would have been obscured by smoke, but before the battle started Napoleon could have had a much better idea of Wellington’s deployment at the start of the battle than many historians would have us believe. 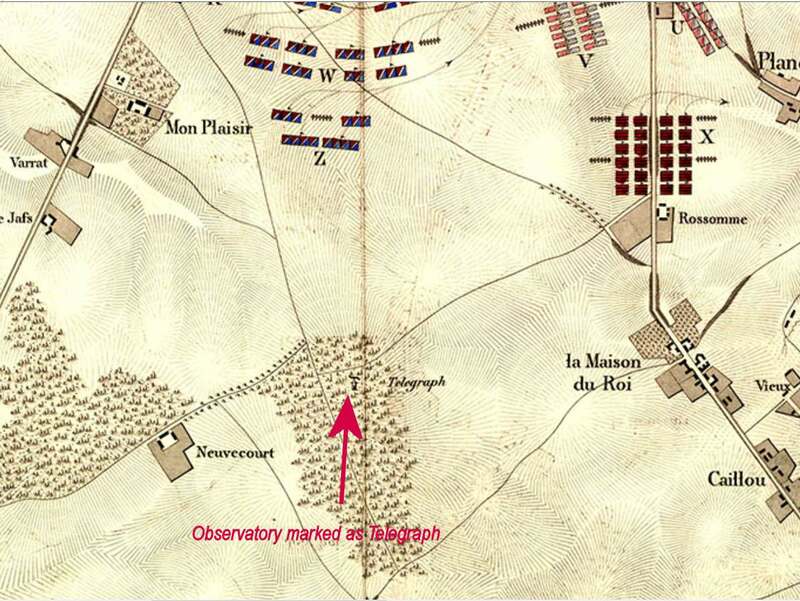 Besides the sketch map in the National Army Museum, there are several documented mentions of the observatory in a manuscript held by the British Library and in the documents published by Booth as a semi official record. (3) The testimony of Jean Baptise De Coster, a local guide for Napoleon mentioned how he did not see Napoleon make any use of the observatory. 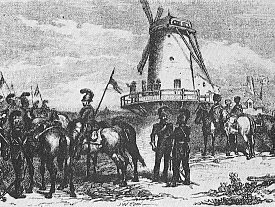 A foot note to this account mentions that Napoleon had spent an hour up the tower and that it had been constructed by Dutch engineers six weeks before the battle. A British Visitor to the Battlefield of Waterloo on the 16th July 1815 describes, how after dining at the farm of La Belle Alliance, he “Went to the Observatory, it is thirty -six feet high; I nailed on the pinnacle the Royal Arms of Great Britain” (Booth: Additional Particulars: P 121) I recall seeing this tower depicted in a print distributed in the old Battle of Waterloo Jackdaw. It seemed a very fanciful depiction of the battle with an Observation Tower and the trail of rockets like V2s streaking overhead. The tower doesn’t seem to appear in many of the more modern depictions of the battle. It isn’t mentioned in Andrew Uffendall’s “On the fields of Glory” (4) Nor In Atkins’ otherwise excellent Waterloo Companion,(5) although his panorama from the Lion mound does appear to show a mobile phone mast in roughly the same direction, there is no tower on that site now. There are several un-answered questions about the tower. Who built it? Was it built by Napoleon’s Sappers? Napoleon did order sappers to build an observation platform for him at Ligny, but pictures show the observation post at Ligny as scaffolding around a windmill. Or was it by the Dutch, as in the footnote to the memoirs published by Booth in 1817? Is there any evidence that Napoleon made use of the tower, except for the foot note in Booth contradicting De Coster? What could a French Observer have seen of the Anglo Dutch positions from the Tower? 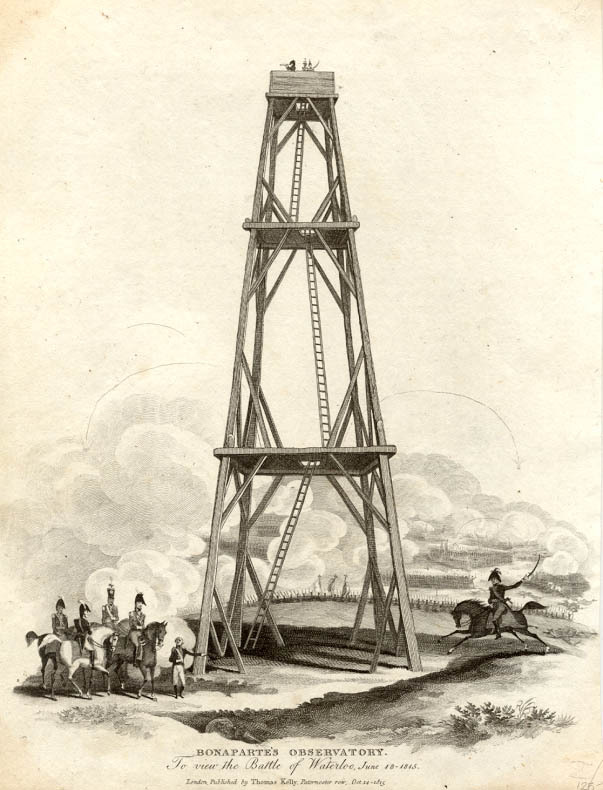 Why hasn’t this Tower been mentioned in any recent military histories of Waterloo? It made enough of an impact on the British for the Tower to feature in the accounts.